Habitat for Humanity is a global nonprofit housing organization working in nearly 1,400 communities across the United States and in approximately 70 countries around the world. Habitat’s vision is of a world where everyone has a decent place to live. Habitat works toward our vision by building strength, stability and self-reliance in partnership with people and families in need of a decent and affordable home. How does Habitat for Humanity help famlies? People in your community and all over the world partner with Habitat to build or improve a place they can call home. Habitat homeowners help build their own homes alongside volunteers and pay an affordable mortgage. Families in need of deent, affordable housing apply for homeownership with their local Habitat for Humanity. As part of their willingness to partner, Habitat’s homebuyers invest hundreds of hours of their own labor, called sweat equity, working alongside volunteers and other Habitat homeowners. Visit our Apply for Habitat house page to learn more. Does Habitat for Humanity take donations? Habitat depends on financial donations to fund our work. These donations help families build a place they can call home. Donate to learn more. We also have local home improvement stores called Habitat ReStore, which sell reusable and surplus building materials, furniture and appliances to the public. The money made from these sales is used to help families build a better future. To donate materials, call 419-429-1400 for free pickup. For large corporations wishing to make bulk donations of goods and materials, please visit the Donations page. For vehicle donations, please contact the Habitat office for more information. Habitat for Humanity ReStores are nonprofit home improvement stores and donation centers that sell new and gently used furniture, home accessories, building materials and appliances to the public at a fraction of the retail price. 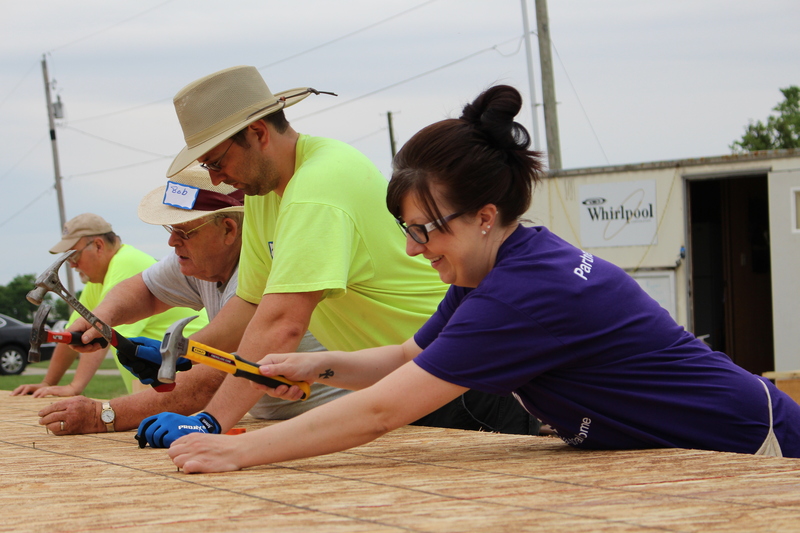 Habitat for Humanity ReStores are owned and operated by local Habitat for Humanity affiliates and proceeds are used to build strength, stability and self-reliance locally and around the world. Visit ReStore. Habitat for Humanity operates in nearly 1,400 communities across the U.S. and in more than 70 countries around the world. Habitat for Humanity Findlay/Hancock County serves families only within our county. In addition to new constrution, Habitat also renovates and rehabilitates existing homes by acquiring blighted and foreclosed property. Habitat’s advocacy work raises awareness and support for safe and affordable housing around the world. How is Habitat funding distributed?